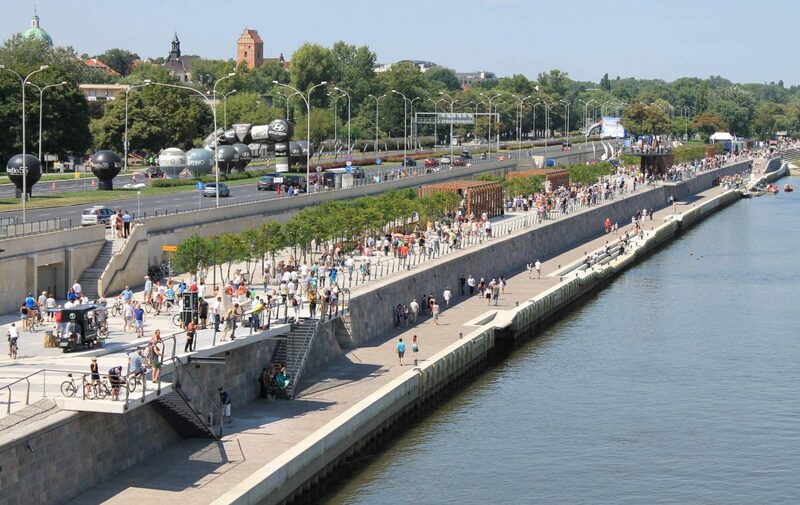 Along the designed area, especially in the part of Starzyński Boulevard some historical fragments that were build still before the war have been partially retained. 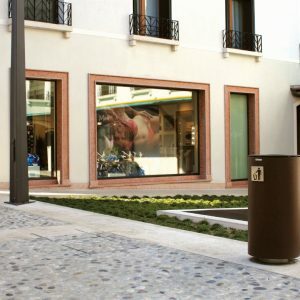 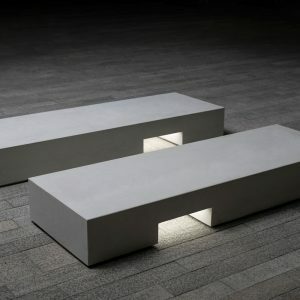 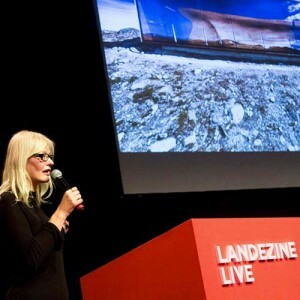 The high frequency is a positive outcome of the designed space. 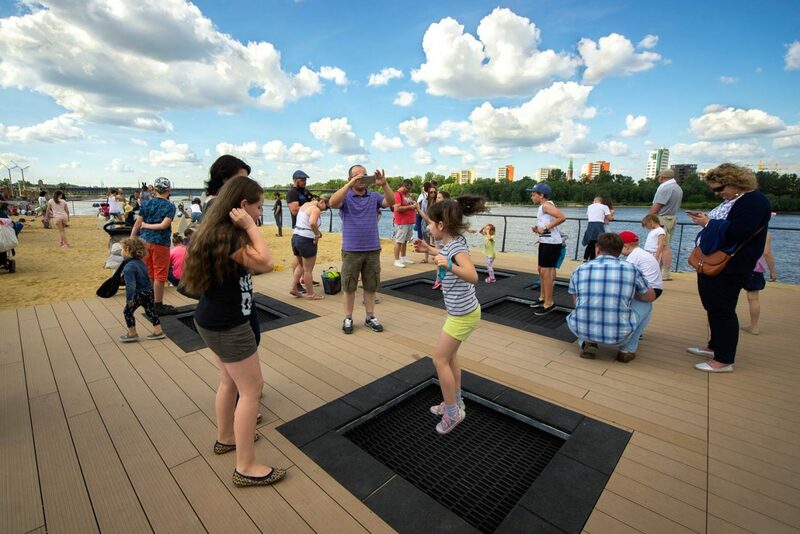 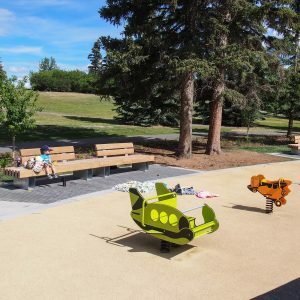 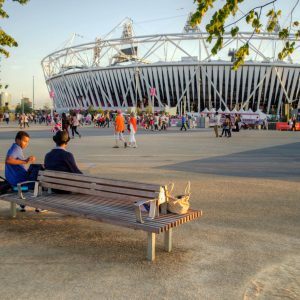 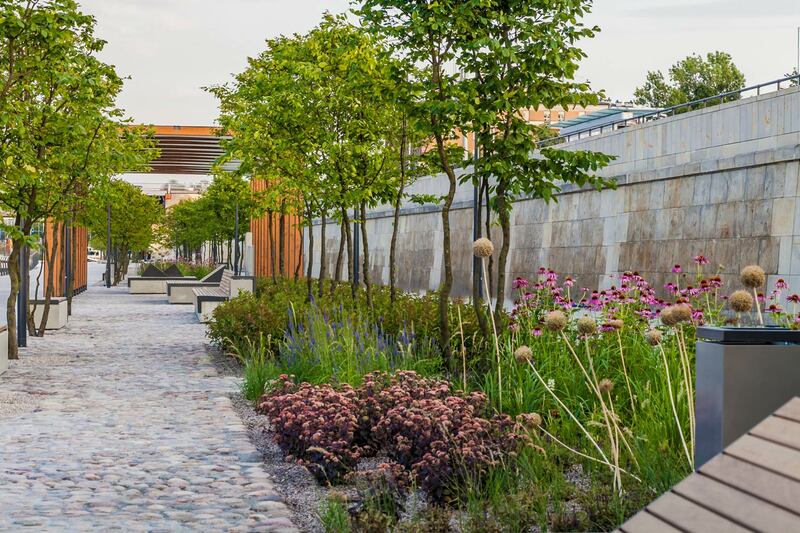 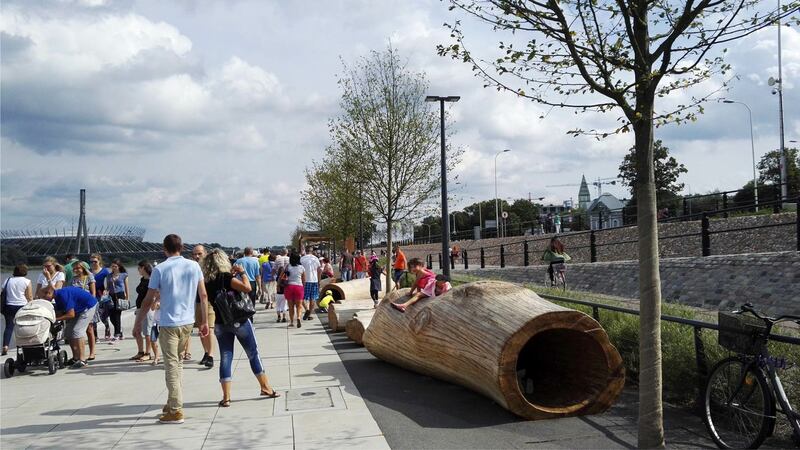 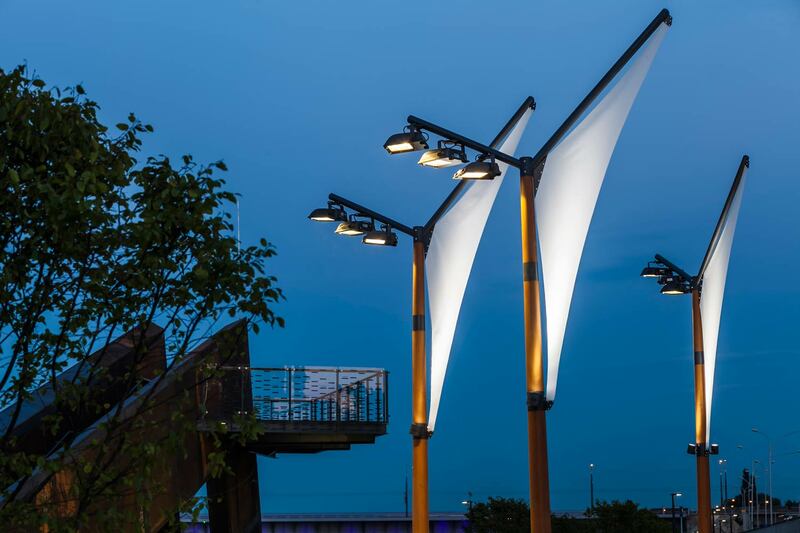 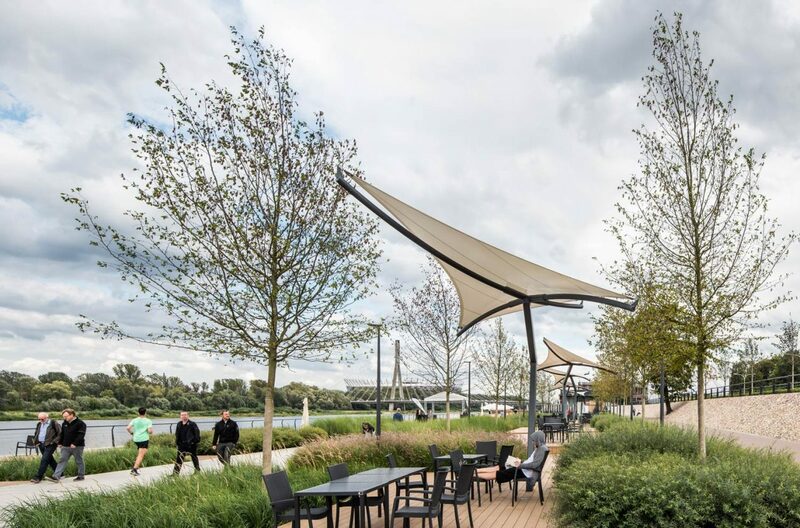 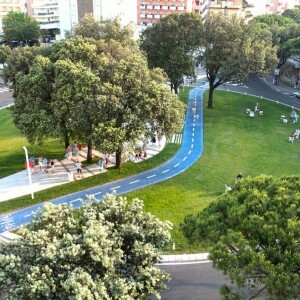 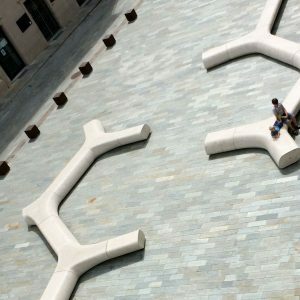 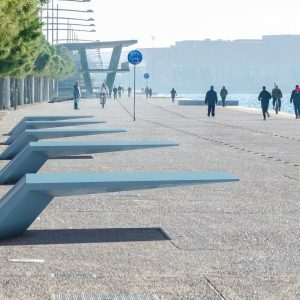 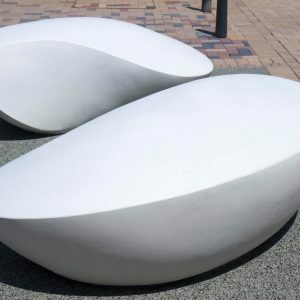 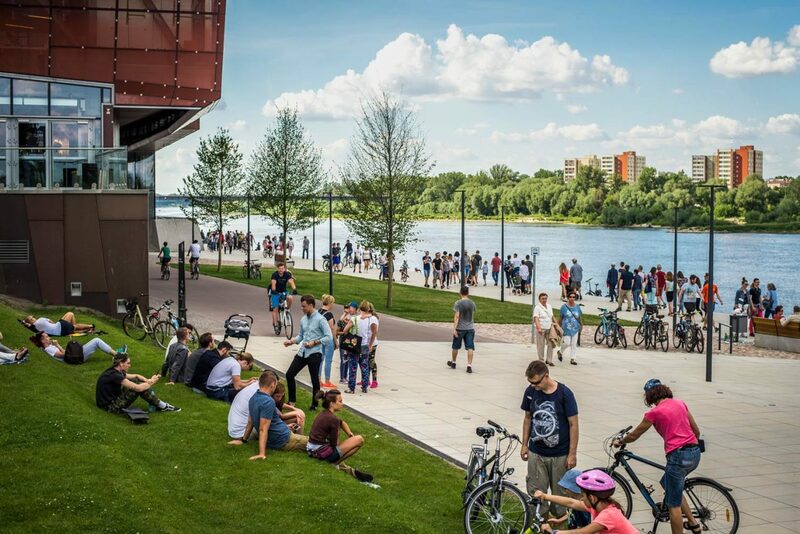 The Boulevard creates a great opportunity for a direct interaction between visitors and the river, especially that the riverfront previously didn’t exist as a public space in the common awareness of city dwellers. 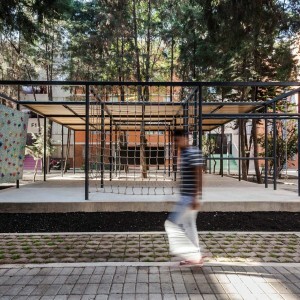 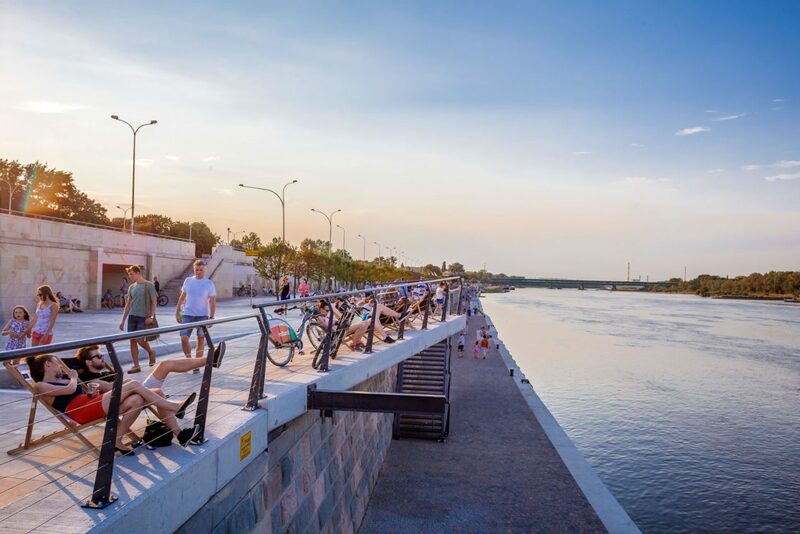 The riverside area that before has been unattractive space, excluded from the cities’ social life has changed completely. 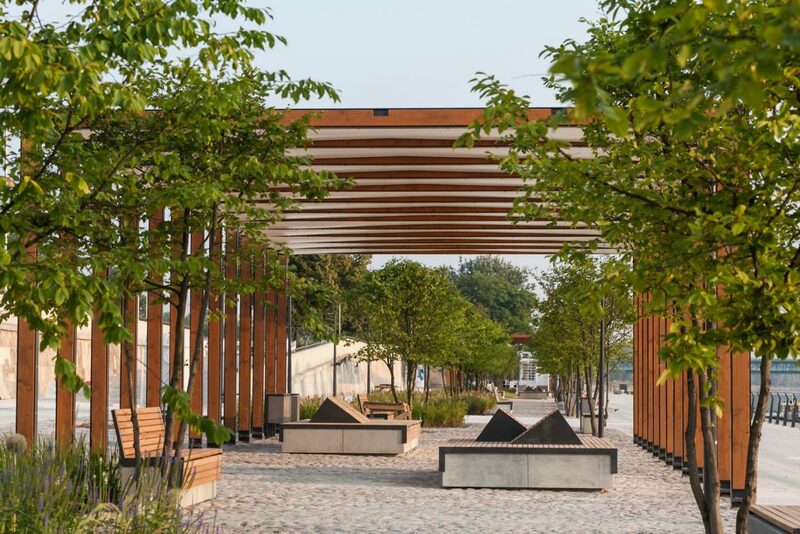 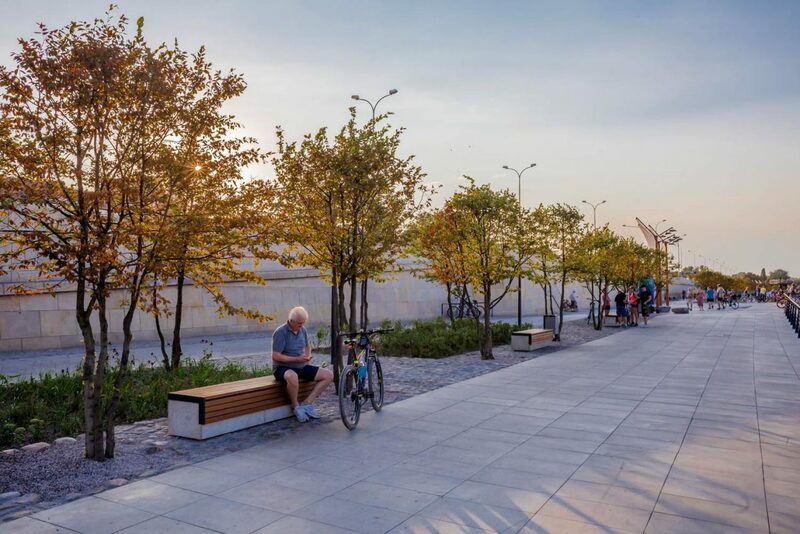 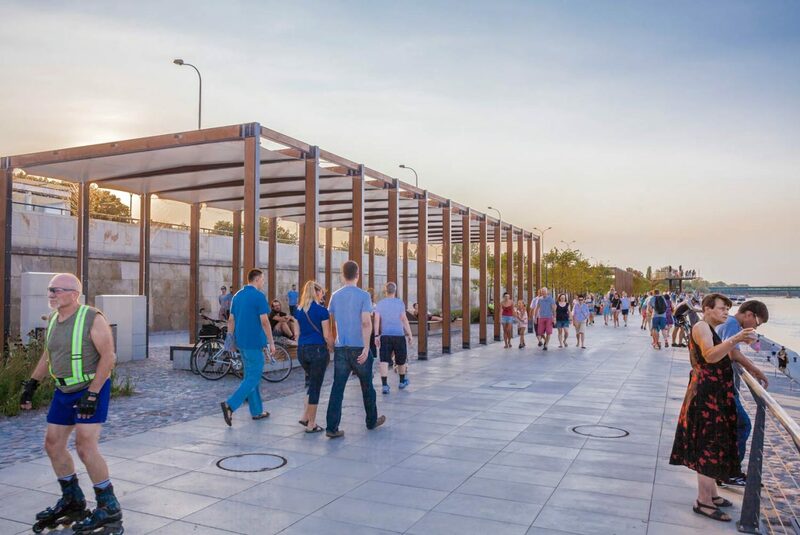 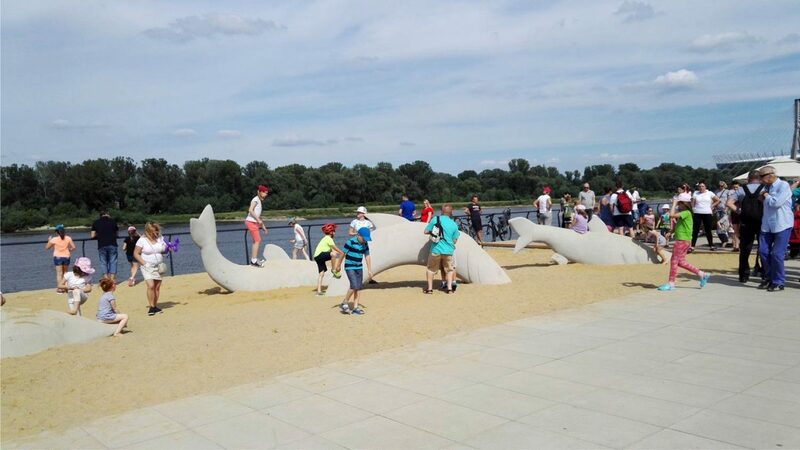 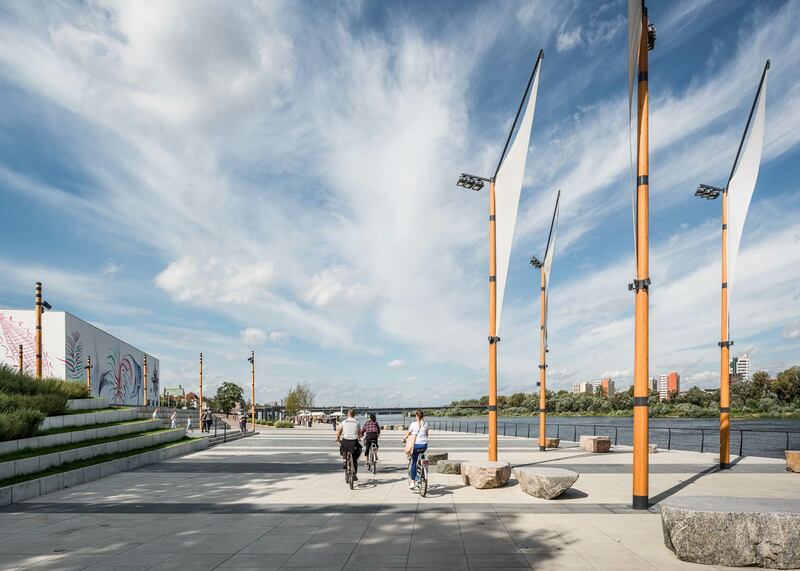 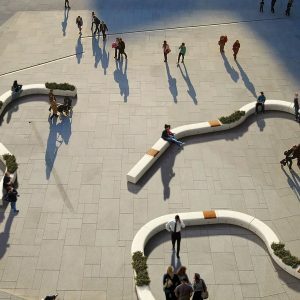 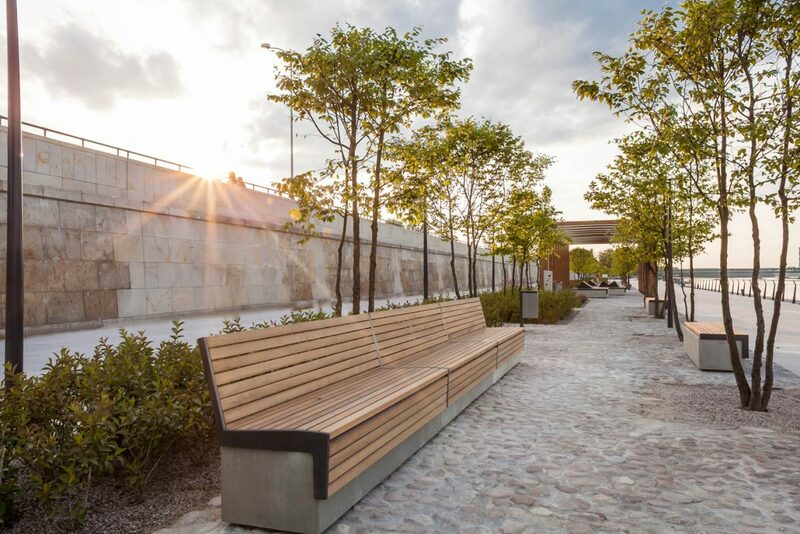 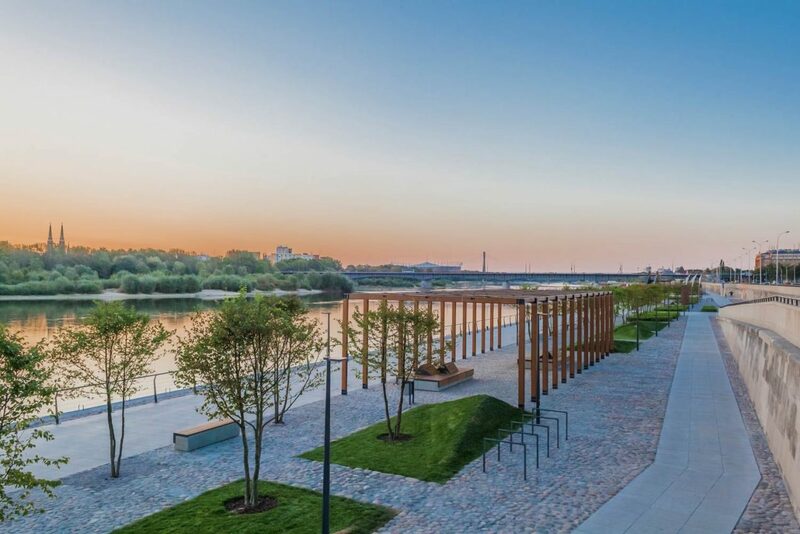 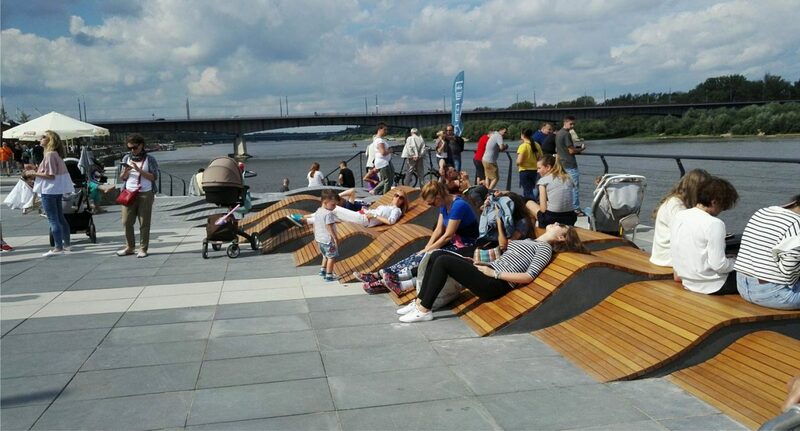 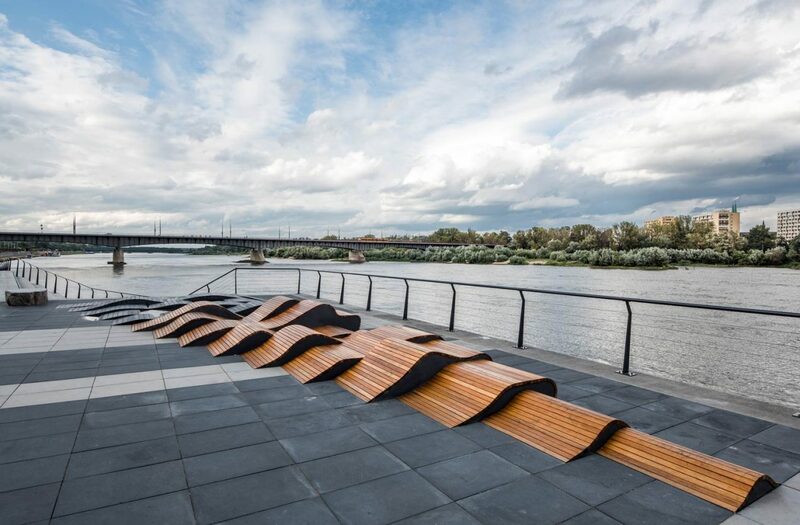 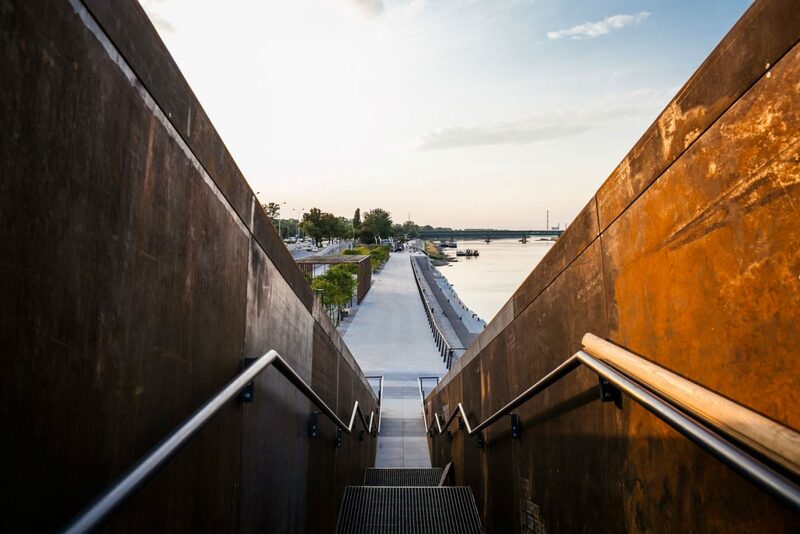 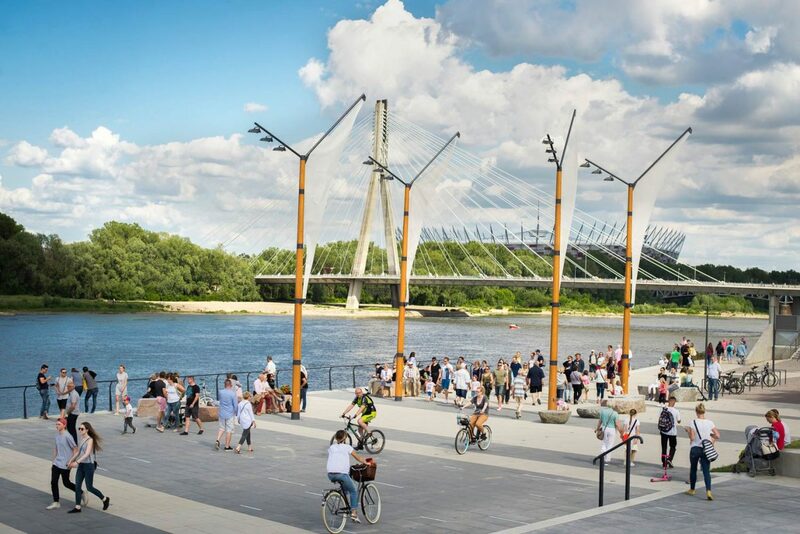 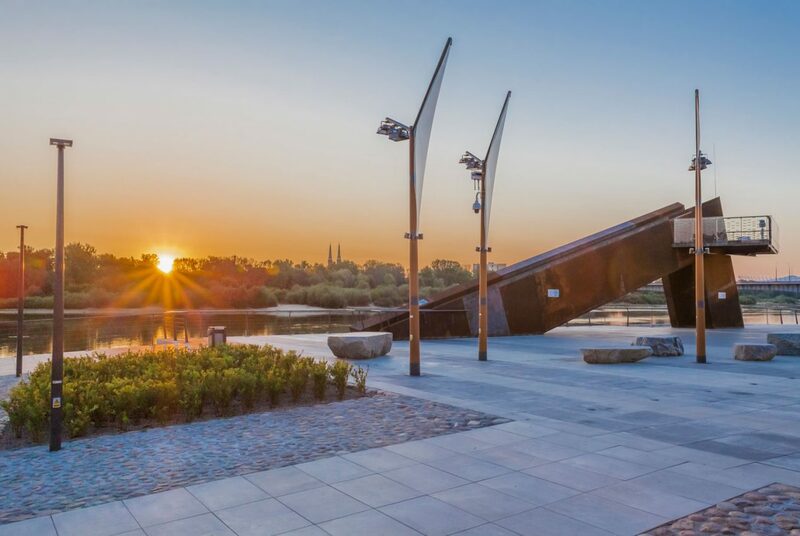 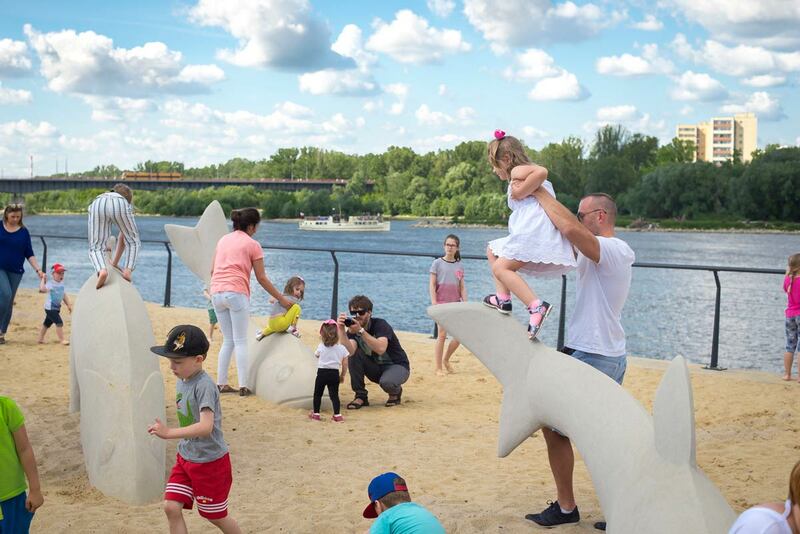 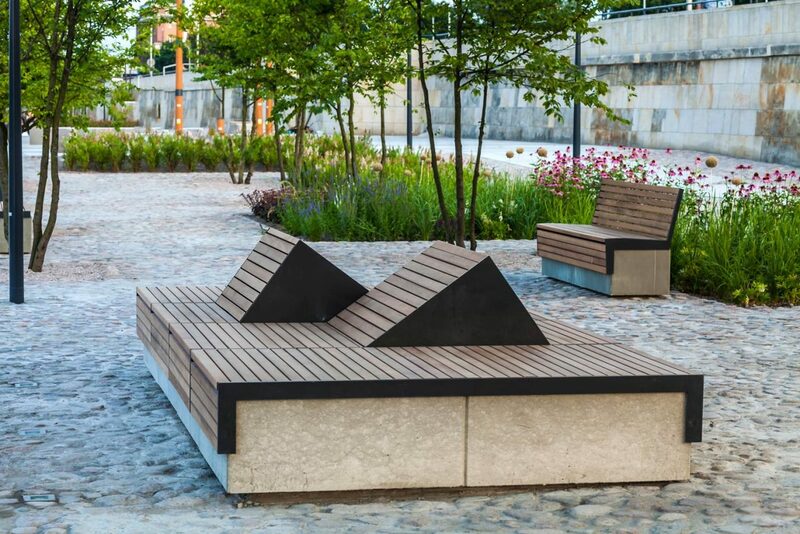 The Vistula Boulevard has become one of the favourite destination sites in Warsaw creating a new relationship between city and river, and what was formerly a back-side is turned into a new, highly attractive front. 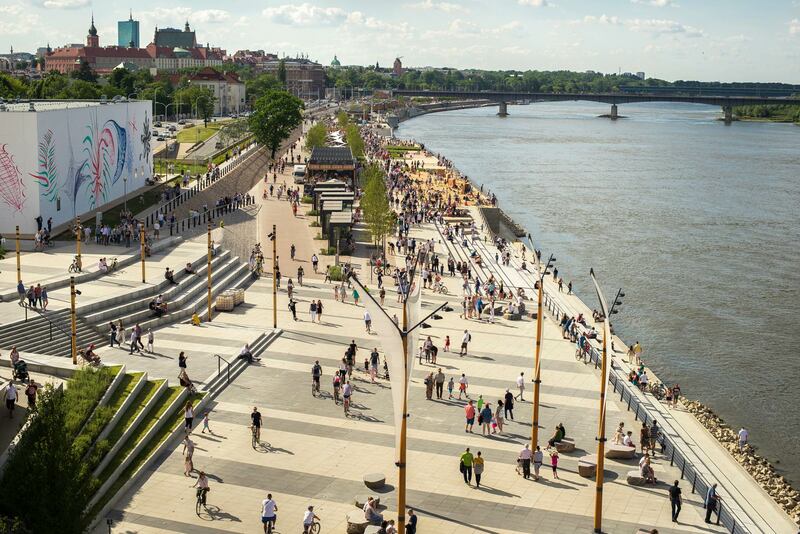 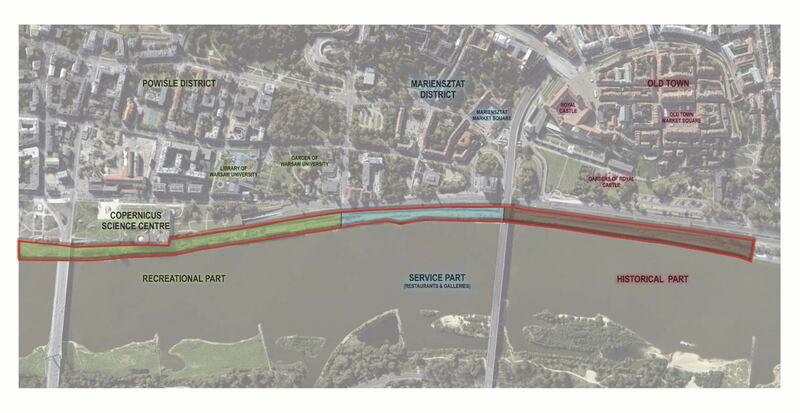 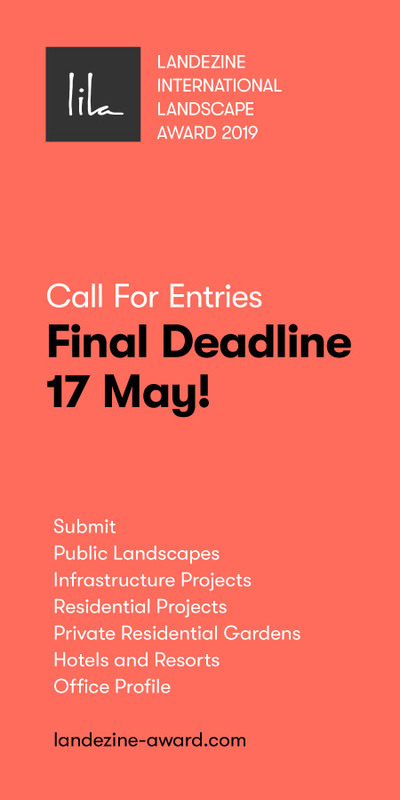 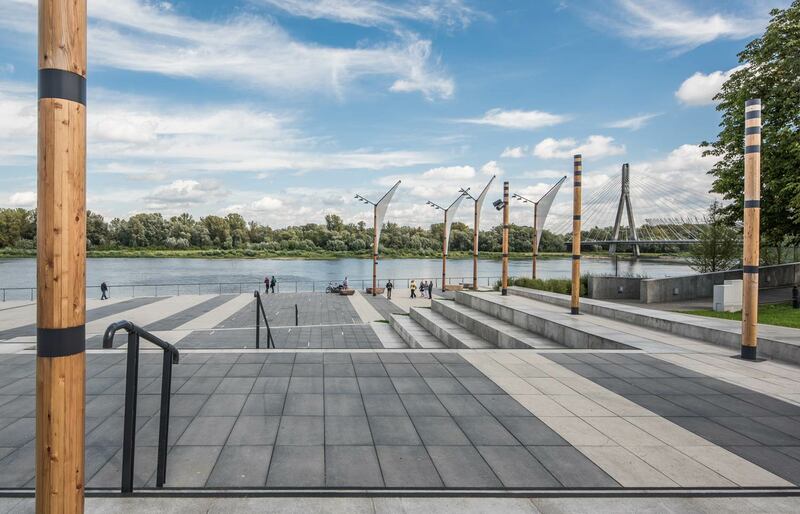 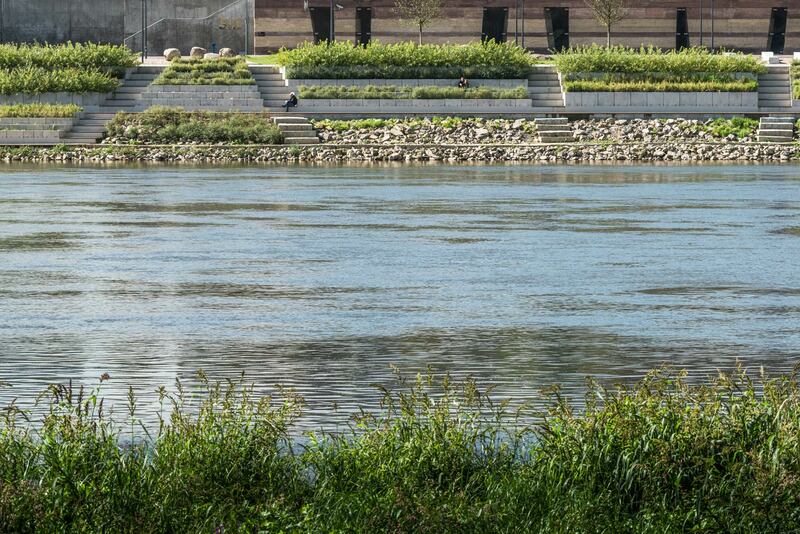 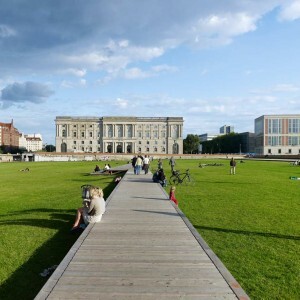 Project name: “Vistula Boulevards” – Warsaw waterfront on the distance from Boleść St. to Tamka St.